20 teabags Ahmad Tea's exclusive blend, English Tea No. 1 has acquired fans all over the world and is one of their best selling blends. A blend of teas from Assam, Sri Lanka and Kenya, three of Britains favourite tea regions, are balanced to deliver a lively, rounded, satisfying brew. With its deep amber liquor, a hint of bergamot and a flavour more subtle than other everyday blends, this is a brew for moments when refreshment and revival are required and only tea will do! 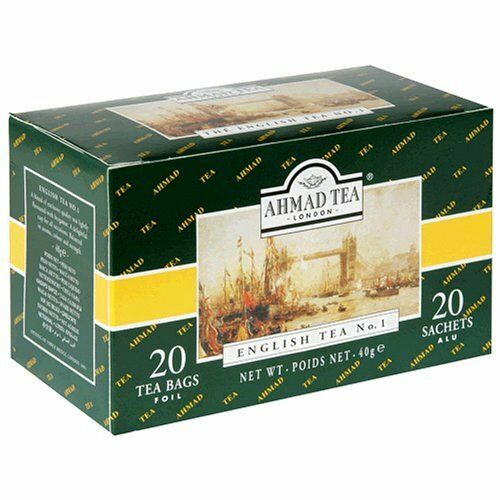 English Tea No.1 is a delightful cup of tea for all occasions, morning or evening, with or without milk. Drink alone or serve with favourite sugary biscuits, indulgent nibbles of chocolate or generous slices of cake. William Wylie has perfectly captured the spirit of excitement and sense of occasion in this painting of the opening of Tower Bridge. This Victorian Neo-Gothic structure is one of the most recognisable bridges in the world, with its bascules and imposing yet elegant architecture.